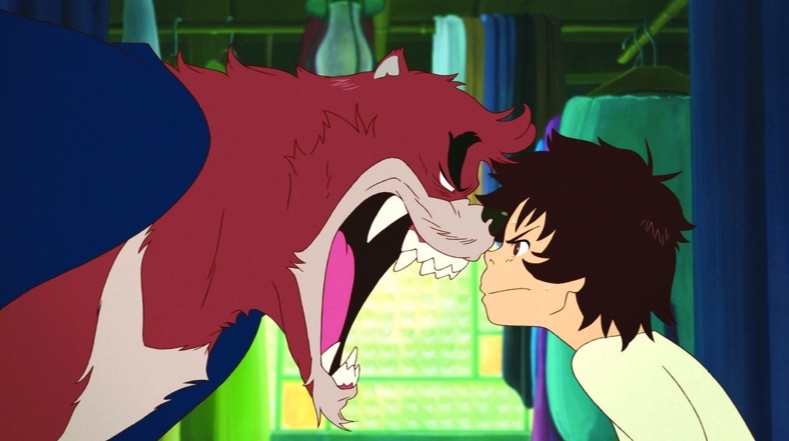 TORRANCE — “The Boy and the Beast” (Bakemono no Ko, 2015, 120 minutes) will be screened on Sunday, Sept. 25, at 2 p.m. at the James Armstrong Theatre, 3300 Civic Center Dr. in Torrance, as part of Japanema, the Japan Foundation Los Angeles’ series of Japanese cinema screenings. In the latest feature film from award-winning director Mamoru Hosoda (“Summer Wars,” “Wolf Children”), Kyuta, a young orphan living on the streets of Shibuya, stumbles into a fantastic world of beasts. He’s taken in by Kumatetsu, a gruff, rough-around-the-edges warrior beast who’s been searching for the perfect apprentice. Despite their constant bickering, Kyuta and Kumatetsu begin training together and slowly form a bond as surrogate father and son. But when a deep darkness threatens to throw the human and beast worlds into chaos, the strong bond between this unlikely pair will be put to the ultimate test — a final showdown that will only be won if the two can finally work together using all of their combined strength and courage. In Japanese with English subtitles. Admission is free and reservations are not required. Free goodies for kids. Co-organized by Torrance Cultural Arts Foundation and Japan Business Association of Southern California. For more information on Japan Foundation Los Angeles programs, visit www.jflalc.org.